2005-10-24 Application filed by 사이언티픽 게임스 인터내셔널, 아이엔씨. filed Critical 사이언티픽 게임스 인터내셔널, 아이엔씨. A system, method and lottery ticket that implement a lottery game that uses a geometric figure having a plurality of selection spaces from which a player selects at least one selection space. The selection spaces are then populated with one or more game indicia, with each game indicia having a point value, and prizes are awarded based upon the total number of points associated with the game indicia populated into the player-selected selection spaces. Other lottery games can also be played simultaneously therewith on the same ticket or round of play. 본 출원은 그 전문이 본 참조에 의해 본 명세서에 완전히 통합되어 있는 2004년 10월 28일자로 출원된 미국 가출원 번호 60/622,982호의 급부를 주장한다. This application claims the US Provisional Application No. 60 / 622,982, filed October 28 Friendly Benefits, 2004 which is fully incorporated herein by this reference in their entirety. 본 발명은 일반적으로 로터리 게임에 관한 것이며, 보다 구체적으로는 기하학적 도형 내의 복수의 위치를 플레이어가 선택하고, 후속하여, 도형 내의 이 위치 중 일부에 징표를 배치하는 로터리 게임에 관한 것이다. The present invention relates generally to rotary game, and more particularly to rotary game of selecting a plurality of locations in the geometry player, and subsequently, placing a token in the part of the position in the figure. 다수의 정부 및/또는 게임 기관이 로터리라 알려진 내기 게임을 후원한다. A number of governments and / or game engine is sponsoring a roundabout called Bet-known games. 통상적 로터리 게임에서는 플레이어가 숫자의 조합 또는 순열을 선택하게 된다. In a typical rotary game is the player selects a combination or permutation of numbers. 이에는 "추첨(draw)"이 이어지며, 여기서, 로터리는 번호매김된 공의 조합 또는 순열을 난수적으로 선택한다. The leads are the "drawing (draw)", wherein the rotary selects a combination or permutation of the numbering ball as random numbers ever. 포상은 추첨된 번호와 플레이어의 선택 사이의 일치도의 수에 기초하여 시상된다. Award is award based on the number of degree of match between the selected numbers of the lottery and the player. 추첨된 번호는 그후, 널리 공개되며, 거액의 포상의 로터리는 세계 전반에 걸쳐 대중적이다. The lottery numbers then, and widely publicized, the rotary hefty reward is popular throughout the world. 로터리는 그들이 교육 및 다른 프로그램을 위한 경제적 부담 중 많은 양을 떠맡기 때문에, 정부에 대한 중요한 수입원이 되고 있다. Rotary because they leave the floating amount of the financial burden for education and other programs, it has become an important source of revenue for the government. 그러나, 정부가 로터리에 점점 더 많이 의존하고, 로터리의 사용이 증가되고 있기 때문에, 그에 대한 대중적 관심의 유지 및 원하는 레벨의 게임 참여를 유지하는 것이 과제가 되고 있다. However, it has been a challenge to keep and maintain the desired level of participation in the games public attention to it, because the government is relying more and more on the roundabout and use the rotary is increased. 로터리 판매를 독려하기 위한 한가지 접근법은 새로운 게임은 현재의 플레이어를 유지하는 것을 도우며, 새로운 플레이어를 끌어들인다는 희망에서, 전통적인 조합/순열 게임을 넘어서 게임 내용을 확장하는 것이다. One approach to encourage the rotary sell the new game is that in the hope of helping to keep the current players and attract new players, beyond traditional combinations / permutations of the game extended game content. 게임 플레이를 향상시키기 위한 한가지 방법은 단순한 영숫자 문자로부터 다른 그림 및 이미지로 게임 징표를 변경하는 것이다. One way to improve the gameplay is to change the game to a different sign and image illustration from a simple alphanumeric characters. 고유한 포상 구조를 생성하기 위해 로터리 게임에 그림 또는 기타 게임 징표를 사용하는 것이 알려져 있다. To generate a unique prize structure, it is known to use pictures or other signs on the roundabout Game game. 그러나, 대부분의 가변 게임 징표 로터리는 여전히 게임 징표와 추첨된 징표의 일치도에 의존하여 일치도의 대응성 레벨을 통해 포상을 결정한다. However, most of the variable game tokens rotary must still determine the prize through the responsiveness level of match degree depending on the degree of match of the token and the lottery game token. 따라서, 단순한 번호 또는 심볼 일치 이외의 것에 기초한 승리를 가능하게 하는 로터리 게임을 제공하는 것이 유리하다. Therefore, it is advantageous to provide a rotary game that allows a simple number or symbol victory based on anything other than coincidence. 또한, 이런 로터리 게임은 심볼의 집합의 순수한 일치에 의해 허용되는 것보다 큰 가변적 포상 구조를 가능하게 하여야 한다. In addition, these games are to be rotary variable reward structure enables greater than that allowed by pure coincidence of a set of symbols. 따라서, 본 발명이 주로 지향하는 것은 이런 개선된 로터리 게임이다. Thus, the present invention is mainly directed to improve such a rotary game. 본 발명은 종래에 알려진 로터리 게임의 단점 중 일부를 극복하고, 세 가지 방식으로 새로운 로터리 게임 내용을 제공한다. The present invention overcomes some of the disadvantages of the rotary games known in the art, and provides a new rotary game content in three ways. 첫 번째로, 플레이어가 큰 징표 집합으로부터 복수의 징표를 선택하는 것을 요구하는 대신, 본 발명은 기하학적 도형으로부터 복수의 위치를 플레이어가 선택할 수 있게 하고, 후속하여, 이 복수의 위치에는 가능하게는 반복을 갖는, 가능한 작은 징표 집합으로부터의 징표가 배치된다. First, instead of requiring a player to select a plurality of tokens from a larger token set, the present invention makes it possible to select a plurality of positions from the geometry player, and subsequently, the plurality of locations, possibly repeated is, small token from the set of possible tokens having disposed. 두 번째로, 번호 같은 일반적 징표의 사용에 제한되는 대신, 본 발명은 심볼, 가능하게는 넓은 소비자 유인성을 갖는 브랜드 또는 기타 대중적 이미지에 관련된 심볼을 사용할 수 있다. Instead of a second, limit the use of such a sign in general number, the present invention may use a symbol associated with a brand or other popular image having a wide customer inducible be symbols available. 세 번째로, 징표는 그들과 연계된 포인트 값을 가지며, 그래서, 단지 일치하는 심볼에만 의존하여 포상을 시상하는 것과는 대조적으로, 플레이어의 티켓의 값은 선택된 위치의 징표와 연계된 총 포인트 수에 의해 결정된다. Thirdly, the sign is by having a point value associated with them, so, as opposed to awards a prize to rely on symbols only match the value of the player's ticket is the total number of points associated with the sign of the selected location It is determined. 따라서, 본 발명은 플레이어가 기하학적 도형 내의 복수의 위치를 선택할 수 있는 로터리 게임을 포함한다. Accordingly, the present invention comprises a rotary game player to select a plurality of locations in the geometry. 도형 내의 위치 중 일부 또는 모두에는 이어서 포인트 값을 갖는 게임 징표가 배치된다. The game is then a sign that has a point value is arranged in position in the some or all of the shapes. 게임 징표는 플레이어에게 매력적인 식별가능한 브랜드에 관련되지만, 이에 제한되지는 않는다. Game tokens are available, but related to the attractive brand identification on the player, but is not limited thereto. 위치는 플레이어의 티켓이 발행되는 시간에 로터리 시스템에 의해 징표가 배치되거나, 이들은 위치에 대한 징표의 할당이 모든 플레이어를 위해 공통적인 경우, 사전결정된 시간에 열리는 추첨(draw)의 결과로서 징표가 배치될 수 있다. Position or a sign is arranged with a rotary system, the time at which the player's ticket issuing, which, if the assignment of the tokens for position is common for all the players, the arrangement token as a result of the drawing (draw) held in pre-determined time It can be. 따라서, 플레이어의 포상은 플레이어에 의해 선택된 위치 내의 징표와 연계된 총 포인트 수의 함수이다. Therefore, the player's award is a function of the total number of points associated with a sign in the selected position by the player. 일 실시예에서, 본 발명은 복수의 선택 공간을 갖는 기하학적 도형을 사용하는 로터리 게임을 이행하기 위한 방법이며, 이는 기하학적 도형 내의 적어도 하나의 선택 공간을 플레이어가 선택할 수 있게 하는 단계와, 하나 이상의 게임 징표를 하나 이상의 선택 공간에 배치하는 단계를 포함하고, 각 게임 징표는 포인트 값을 가지며, 이때, 플레이어 선택된 선택 공간 내의 게임 징표와 연계된 총 포인트 수에 기초하여 포상을 시상한다. In one embodiment, the present invention is a method for implementing a rotary game that uses a geometric figure having a plurality of selection spaces, which steps and, at least one of the at least one selection space within the geometric shape allows the player to select game It includes placing a token in one or more of the selected area, and each gaming token has a point value, and wherein, based on the total number of points associated with the game player signs in the selected selection area and sagittal awards. 일 실시예에서, 본 발명은 로터리 게임을 이행하기 위한 시스템이며, 이는 복수의 선택 공간을 갖는 기하학적 도형을 사용하여 로터리 게임을 구현하는 적어도 하나의 게임 서버와, 게임 서버에 의해 이행되는 로터리 게임의 기하학적 도형 내의 적어도 하나의 선택 공간을 플레이어가 선택할 수 있게 하는 적어도 하나의 분배 단말을 포함한다. In one embodiment, the present invention is of the rotary game being implemented by at least one game server and a game server and a system for implementing the rotary game, which uses the geometry having a plurality of selectable space to implement the rotary game at least one selection space within the geometric shapes comprise at least one dispensing terminal that allows the player to select. 게임 서버는 추가로, 하나 이상의 게임 징표를 하나 이상의 선택 공간에 배치하고, 각 게임 징표는 포인트 값을 가지며, 게임 서버는 추가로, 플레이어 선택된 선택 공간 내의 게임 징표와 연계된 총 포인트 수에 기초하여 플레이어에게 포상을 시상한다. Additional game server comprises: placing one or more game tokens in one or more of the selected area, and each gaming token has a point value, a game server in addition based on a player the total number of points associated with the game token in the selected selection spaces Prizes will be rewarded to players. 또한, 본 발명은 기하학적 도형 내의 적어도 하나의 선택 공간을 플레이어가 선택할 수 있게 하고, 하나 이상의 게임 징표가 하나 이상의 선택 공간에 배치될 수 있게 하며, 각 게임 징표는 포인트 값을 갖는, 복수의 선택 공간을 구비한 기하학적 도형을 포함하는 로터리 게임 티켓을 포함한다. In addition, the present invention is able to be disposed on at least one allows the selection space the player can select, and one or more of the one or more game tokens selection space within the geometric figure, each gaming token has having a point value, a plurality of select area a game ticket comprises a rotary comprising a geometry having a. 로터리 티켓은 포상의 결정이 플레이어 선택된 선택 공간 내의 게임 징표와 연계된 총 포인트 수에 기초할 수 있게 한다. Rotary tickets will be able to be based on the total number of points associated with a sign in the game the decision of the rewards the player selected choice space. 본 발명의 다른 목적, 특징 및 장점은 하기의 도면의 간단한 설명, 실시예 및 청구범위의 고찰 이후에 명백해질 것이다. Other objects, features and advantages of the invention will be apparent after consideration of the brief description, examples and claims of the drawings. 도 1은 기하학적 도형을 사용하는 본 발명의 로터리 게임 베트 슬립의 일 실시예의 예시도. 1 is also illustrated example embodiment of the rotary game bet slip of the present invention, using the geometry day. 도 2는 도 1의 베트 슬립에 의해 입력된 로터리 게임을 위한 티켓의 일 실시예의 예시도. Figure 2 is illustrative of one embodiment of a ticket for the game rotary input by the bet slip of FIG. 도 3은 로터리 게임을 위한 예시적 포상 테이블을 도시하는 도면. Figure 3 is a diagram illustrating an exemplary prize table for the rotary game. 도 4는 본 발명의 로터리 게임 베트 슬립의 다른 실시예의 예시도. 4 is a diagram of another embodiment illustrative of the rotary game bet slip of the present invention. 도 5는 도 4의 베트 슬립에 의해 입력된 로터리 게임을 위한 티켓의 다른 실시예의 예시도. 5 is a diagram of another embodiment illustrative of the tickets for the game rotary input by the bet slip of FIG. 도 6은 로터리 게임을 위한 제2 예시적 포상 테이블을 도시하는 도면. 6 is a view showing a second exemplary prize table for the rotary game. 도 7은 본 발명의 로터리 게임을 위한 티켓을 발행하는 게임 단말과 통신하는 게임 서버의 일 실시예의 도면. Figure 7 is an example diagram embodiment of a game server in communication with a game terminal issuing tickets for the rotary game of the present invention. 이제, 도면을 참조하면, 도 1에 도시된 본 발명의 로터리 게임의 제1 실시예에서, 플레이어는 복수의 셀(12)을 포함하는 기하학적 도형을 디스플레이하는 베트 슬립(10)을 사용하여 게임의 플레이를 개시한다. Referring now to the drawings, in an embodiment of the first rotary game of the present invention shown in Figure 1, the player uses bet slip 10 that displays a geometric figure that comprises a plurality of cells 12 of the game It discloses a play. 플레이어는 게임을 위한 그의 선택을 나타내기 위해 이들 셀의 부분집합(14)을 형성하고, 그후, 본 기술에 공지된 바와 같이, 이 정보를 로터리 중앙 시스템에 연결된 단말(도 7의 게임 단말(54) 같은)에 입력하는 허가된 로터리 소매상에게 금액 양과 함께 베트 슬립(10)을 제출한다. Player to indicate his selection for the game and forming a subset 14 of these cells, after which, as is known in the art, the terminal connected to the information on the rotary center system (Fig. 7 of the game terminal (54 ) shall submit to bet slip (10) with a rotary authorized retailers to enter the same) amount amount. 대안적으로, 로터리는 플레이어가 베트 슬립(10) 또는 자판기에 의해 제공되는 경우, 터치 스크린 기술 중 어느 하나를 사용하여 그의 선택을 나타내고, 본 기술에 갈려진 바와 같이, 기계상의 요금 수집기를 통해 돈을 수납할 수 있는 자판기를 제공할 수 있다. Alternatively, the rotary is when the player is provided by the bet slip 10 or the vending machine, by using any one of a touch screen technology indicates his choice, as binary trying to get in the art, the money through a charge collector in the machine a it is possible to provide a vending machine that can hold. 로터리 시스템이 베팅금을 접수한 이후, 이는 플레이어의 선택을 나타내는 티켓(도 2)을 인쇄한다. Since the rotary system is accepting bets of gold, which prints a ticket (Fig. 2) showing a selection of players. 본 발명의 일 실시예에서, 로터리는 또한, 티켓상에 징표를 인쇄할 수 있다. In one embodiment of the invention, the rotary is also possible to print a sign on the ticket. 각 징표는 그와 연계된 포인트 값을 갖는다. Each token has a point value associated therewith. 플레이어는 선택된 셀내에 나타난 징표와 연계된 포인트를 가산하고, 존재한다면, 그 포인트 값에 어떤 포상이 대응하는지를 나타내는 포상 테이블에 포인트 총계를 비교한다. If the player adds the points associated with the sign indicated in the selected cells, and is present, and compares the point total to award table showing how awards which corresponds to that point value. 티켓상의 포인트 값이 포상에 대응하는 경우, 플레이어는 티켓 확인 및 포상 지급을 위해 자판기 또는 소매상에게 티켓을 제출한다. If the point value on the ticket corresponding to the award, the player must submit a ticket vending machine or a retailer for ticket confirmation and payment awards. 대안 실시예에서, 티켓은 플레이어의 선택을 디스플레이하지만, 기하학적 도형 내의 징표의 배열은 나타내지 않는다. In an alternate embodiment, the ticket displays the player's selection, however, the arrangement of the signs in the geometry does not show. 본 실시예에서, 추첨은 판매가 중단된 이후 열리고, 추첨은 징표의 집합내의 각 징표를 위한 교체 없는 셀들의 선택을 포함한다. In this embodiment, the drawing is opened and after the sale is interrupted, drawing involves a selection of no replacement cells for each token in the set of tokens. 플레이어의 티켓의 포인트 값이 그후 결정되고, 티켓이 상술한 바와 같이 확인된다. The point value of the player's ticket is determined and then, it is confirmed as shown in the above-described ticket. 본 발명의 샘플 실시예가 하기와 같이 설명된다. It is described as an example to a sample embodiment of the present invention. 플레이어는 도 1 및 도 2에 도시된 바와 같이 베트 슬립(10)을 사용하여 5 x 5 사각형 역자(12)로부터 위치를 선택한다. The player selects a position from a 5 x 5 square Translator 12 using a bet slip 10 as shown in Figs. 본 실시예의 징표는 아케이드 게임 Pac-Man(R)으로부터의 이미지를 포함한다. Example a sign of the present embodiment includes an image from the arcade game Pac-Man (R). 구체적으로, 이들은 각각 2 포인트 가치가 있는 Pac-Man(R)의 두 사례들(28), 각각 1 포인트의 가치가 있는 한 쌍의 체리들(29)의 4개 사례들 및 각각 음수 1(-1) 포인트의 가치가 있는 고스트들(27)의 2개 사례들이 존재한다. Specifically, each of two two cases of Pac-Man (R) with a point value of 28, the four examples of each one one pair of cherry (29) of which is worth points, and each negative one (- 1) there are two cases of ghost (27) worth of points. 이는 배치된 격자(22)가 어떠한 값도 갖지 않는 17개 빈 공간을 가진다는 것을 의미한다는 것을 유의하여야 한다. It should be noted that the means 17 has a blank space is arranged a grid (22) which does not have any value. 본 실시예에서, 격자상의 위치에 대한 징표의 할당은 즉시 이루어진다. In this embodiment, the assignment of a sign to the position on the grid is made immediately. 본 기술 분야에 공지된 난수 발생기를 사용하여, 로터리 시스템은 5 x 5 격자에 징표를 할당한다. Using a random number generator well known in the art, the rotary system allocates the token to the 5 x 5 grid. 그후, 이 시스템은 격자, 징표 및 플레이어의 선택된 위치가 표시되어 있는 티켓을 발행한다. Then, the system will issue a ticket with the selected position of the grid, and the players sign is displayed. 도 2 및 도 5에 도시된 바와 같이 징표가 할당되지 않은 플레이어에 의해 선택된 위치를 나타내기 위해 "X"가 사용된다. Even an "X" is used to indicate a position selected by a player a token is not assigned, as shown in Fig. 2 and Fig. 도 2는 플레이어의 선택된 셀이 하나의 Pac-Man(R), 두 쌍의 체리들(29) 및 하나의 고스트(27)를 포함하고, 하나의 누락된 공간(26)을 갖는 실시예를 위한 샘플 티켓을 도시한다. Figure 2 is a cell selected in the player one Pac-Man (R), including cherries of 29 and one ghost 27, the two pairs, for example having one missing space 26 It shows a sample ticket. 플레이어의 티켓(20)은 따라서, 총 3 포인트를 획득하였다. Flights 20 of the player is thus to obtain a total of 3 points. 도 3은 로터리 게임의 본 실시예를 위한 포상 테이블을 도시한다. Figure 3 shows a prize table for this embodiment of the rotary game. 플레이어가 그 티켓의 포인트 값을 결정한 이후, 이들은 포상 테이블을 사용하여 그들이 이긴 경우를 결정할 수 있고, 그러한 경우, 포상의 크기를 결정할 수 있다. Since the player is determined by the point value of the tickets, you can use the table to determine if they have won awards in such cases, it is possible to determine the size of the award. 본 실시예에서, 플레이어는 $1을 획득한다. In this embodiment, a player obtains a $ 1. 기하학적 도형/격자상의 위치에 징표 할당시, 로터리 시스템은 위치를 임의적으로 선택 및 배치하거나(통상적으로, 랜덤화된 알고리즘 또는 추첨을 경유하여) 이는 반전 맵핑 방법을 사용, 즉, 먼저 플레이어가 획득한 포인트의 수를 임의적으로 결정하고, 그후, 선택된 포인트 값을 갖는 티켓을 실효화하도록 위치들에 징표를 할당할 수 있다. When a sign is assigned to the position on the geometrical figure / grid, the rotary system is selected and arranged to position arbitrarily or (typically via a randomized algorithm or a drawing) which use the reverse mapping method, i.e., the first player to obtain optionally determining the number of points, and then, it is possible to assign a sign to the position to the effective screen a ticket with the selected point value. "퀵 픽(quick pick) 방식으로 징표를 자동 배치하기 위해 본 기술 분야에 알려진 바와 같은 다른 방법들이 여기에 사용될 수 있다. 도 3의 테이블에 도시된 오드(odd)는 전자의 방법을 가정한다. 또한, 추첨에 의해 위치에 징표가 할당되는 대안 실시예에서, 이들 오드들은 로터리가 그 예상 포상 부담을 결정 하고, 플레이어가 그 승리 기회들을 이해할 수 있도록 산출되어야 한다. "Quick Peek (quick pick) Alternatively, such a sign in such a way is known in the art for automatic placement can be used herein. 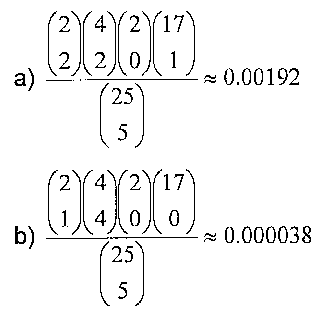 The odd (odd) shown in the table in Figure 3 it is assumed the former method. also, in an alternative embodiment where a sign is assigned to the position by the drawing examples, these Eau are to be calculated, and the rotary determine the expected award burden, so that the player can understand that the winning chance. 이하의 실시예는 징표가 위치에 임의적으로 할당되는 경우에 오드들이 연산될 수 있는 방식을 예시한다. The following examples illustrate the manner in which odd may be calculated in the case where a sign is assigned to the arbitrary position. 티켓이 정확히 6 포인트를 획득하는 경우를 고려한다. Consider the case of a ticket is acquired exactly six points. 이는 두 가지 방식중 하나에서 발생할 수 있다: a) 플레이어의 선택된 위치가 두 개의 Pac-Man(R) 심볼들(28), 두 쌍의 체리들(29), 제로 고스트들(27) 및 하나의 빈 공간을 포함하거나, b) 플레이어의 선택된 위치들이 하나의 Pac-Man(R) 심볼(28), 네 쌍의 체리들(29), 제로 고스트들(27) 및 제로 빈공간들을 포함. This can occur in one of two ways: a) the selected position of the player of the two Pac-Man (R) symbols 28, two pairs of cherries (29), the zero ghosts 27 and one including an open area, or, b) comprises a selected position of the players to one Pac-Man (R) symbol 28, four pairs of cherries 29, zero ghosts of 27 and zero blank spaces. 징표가 랜덤하게 기하학적 도형상에 배치된다는 가정하에, 각 경우의 가능성은 아래와 같이 연산될 수 있다. On the assumption that the sign is randomly arranged on the geometry, the possibility in each case can be calculated as follows. 따라서, 6 포인트를 획득할 총 가능성은 0.001957이거나, 약 510.9 중의 1이다. Thus, the total possible to obtain the six points is 0.001957, or, one of about 510.9. 이들 오드의 연산은 k 비음수 정수의 순서화된 합으로서 양의 정수 n을 표현하는 모든 가능한 방식의 리스트를 자동으로 생성하는 방법에 의해 촉진된다. 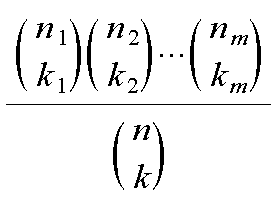 Calculation of these Eau is facilitated by a method to automatically generate a list of all possible ways of expressing a positive integer n as an ordered sum of k nonnegative integer number. 예로서, 위의 계산에서, 4개 비음의 정수들의 합으로서 5를 기록하는 모든 가능한 방식의 리스트를 사용할 수 있으며, 여기서, 순서 문제들, 즉, 0+2+2+1은 2+1+0+2로부터 구별된다. For instance, in the above calculation, it is possible to use a list of all the possible ways of writing 5 as a sum of four nonnegative integers, where order problem, that is, 0 + 2 + 2 + 1 2 + 1 + It is distinguished from the 0 + 2. 이들은 (n+k-1)-요소의 (k-1) 요소 부분집합들과 1 대 1 대응으로 배치될 수 있다는 것은 조합 수학에서 잘 알려져 있다; These (n + k-1) - is not that (k-1) element subset of the elements and can be arranged in a one-to-one correspondence is well known in the mathematical combination; 예로서, Stanley의 Enumerative Combinatiorics 1권 14 내지 15쪽 참조. By way of example, with reference Enumerative Combinatiorics side 1 14 to 15 of Stanley. 모든 이런 부분집합을 생성하는 방법은 잘 알려져 있다; How to create a subset of all of this it is well known; Kreher 및 Stinson의 Combinatiorial Mathematics : Generation, Enumeration, and Search의 43 내지 52쪽 참조. Kreher and Stinson Combinatiorial Mathematics of: 43 to 52 refer to the side of Generation, Enumeration, and Search. 상기 샘플 실시예는 독립적 로터리 게임을 위한 것이다. The sample embodiment is for the independent rotary game. 본 발명은 또한 "확장 게임"으로서 구현될 수도 있다. The invention may also be implemented as an "extension game." 구체적으로, 게임은 "베이스 게임"이라고 여기서 지칭되는 다른 로터리 게임과 연계하여서만 판매되도록 제공될 수 있다. Specifically, the game can be provided so that only sell hayeoseo conjunction with other rotary Game referred to herein as "base game". 확장 게임으로서 구현될 때, 포상 테이블은 포상으로서 승수값을 포함할 수 있다. When implemented as an extension to the game, awards the table may include a multiplier value as a reward. 플레 이어가 승수 포상, 말하자면, 예로서, 3배를 획득하였을 때, 베이스 게임에서 그가 승리한 하나 이상의 포상은 승수값으로 승산될 수 있다. A player is followed multiplier prize, say, for example, when acquiring a three-fold, at least one award in a base game win he may be multiplied by the multiplier value. 확장 게임으로서 구현될 때, 포상 테이블은 포상으로서 승수값을 포함할 수 있다. When implemented as an extension to the game, awards the table may include a multiplier value as a reward. 플레이어가 말하자면, 예로서, 3배의 승수 포상을 획득하는 경우, 기본 게임에서 그가 승리한 하나 이상의 포상은 승수 값 만큼 승산될 수 있다. Players have to say, for example, if you acquire a multiplier award three times, more than one award in a game he wins the primary will be multiplied by the multiplier value. 본 발명은 확장 게임, 즉, "기본 게임"이라 지칭되는 다른 로터리게임과 연계하여서만 플레이도리 수 있는 로터리 게임으로서 구현될 수 있다. The invention can be implemented as an extension game, that is, the "base game" rotary game that is played only Torii hayeoseo conjunction with other rotary game is referred to as. 이런 실시예에서 플레이어에게 가용한 포상은 플레이어가 베이스 게임에서 승리한 하나 이상의 포상을 배가시키는 승수값을 포함할 수 있다. Awards available to players in this embodiment may include a multiplier that multiplies the value of the player who won more than one award at the base game. 포상으로서 승수를 갖는 확장 게임은 본 기술 분야에 공지되어 있다. Extended game with a prize multiplier as is well known in the art. 이하의 실시예에 도시된 바와 같이, 도 4는 확장 게임으로서 본 발명의 실시예를 위한 베트 슬립(30)을 도시한다. As illustrated in the following examples, Figure 4 shows a bet slip 30 for an embodiment of the present invention as an extension game. 상세히 도시되어 있지 않은 베트 슬립(30)의 상부 부분(34)은 본 기술에서 널리 알려진 로터리 베트 슬립에서와 같이, 플레이어에 의해 채워지게 된다. The upper part 34 of the bet slip 30 that is not shown in detail will be as in the known rotary bet slip in the art, filled in by the player. 그러나, 베트 슬립(30)의 하부 부분(32)은 도 1에 도시된 베트 슬립(10)과 동일한 방식으로 채워진다. However, the lower part 32 of the bet slip 30 is also filled in the same manner as the bet slip 10 shown in Fig. 플레이어는 이전 실시예에서 설명된 방법을 사용하여, 기본 게임 및 확장 게임 양자 모두의 베팅금을 커버하는 양의 돈과 함께 베트 슬립(30)을 제출한다. The player submits the bet slip 30 along with an amount of money for using the methods described in the previous embodiment, covers the base game and the extension game, both the bet gold. 로터리 시스템은 베팅금을 수납받고, 티켓(40)을 발행한다. The rotary system being housed betting gold will be issued a ticket (40). 도 5는 기하학적 도형(42)내의 로터리의 징표 배치가 구매 시점에서 이루어지는 실시예를 위한 티켓(40)을 도시한다. Figure 5 shows a ticket 40 for the embodiment of the rotary token placed in the geometry (42) formed at the time of purchase. 본 기술의 숙련자는 본 발명이 추첨 동안 도형내에 징표가 할당되는 확장 게임으로서 구현될 수도 있다는 것을 알 수 있을 것이다. One skilled in the art will appreciate that the present invention may be embodied as an extension game where a sign is assigned in the shape during drawing. 도 6은 이 실시예를 위한 포상 테이블을 도시한다. Figure 6 illustrates the prize table for this embodiment. 본 실시예에서, 플레이어는 4배 승수로 승리하였다. In this embodiment, a player were to win 4X multiplier. 따라서, 플레이어가 티켓의 상부 부분에 기재된 베이스 게임의 플레이에서 이런 포상을 수득하는 경우, 기본 게임에서 입수할 수 있는 하나 이상의 포상은 4만큼 승산된다. Therefore, when the player has obtained such a prize in the play of the base game described in the upper part of the ticket, one or more awards that may be obtained from the primary game is multiplied by four. 도 7은 본 발명의 로터리 게임을 위한 티켓을 발행하는 네트워크(56)를 거쳐 게임 단말(54)과 통신하는 게임 서버(52)의 일 실시예를 도시하는 도면이다. 7 is a view over the network 56 issuing tickets for the rotary game of the present invention illustrating one embodiment of a game terminal 54 and the communication game server 52 which. 로터리 게임을 이행하기 위한 시스템(50)은 복수의 선택 공간을 갖는 기하학적 도형(12)을 사용하여 로터리 게임을 이행하는 적어도 하나의 게임 서버(52)를 포함한다. System 50 to implement the rotary game includes at least one game server 52 to implement the rotary game using a geometric figure 12 having a plurality of selection spaces. 적어도 하나의 분배 단말(52)은 플레이어가 게임 서버(52)에 의해 이행되는 로터리 게임의 기하학적 도형(12) 내의 적어도 하나의 선택 공간을 선택할 수 있게 한다. At least one distribution terminal 52 enables the player to select at least one selection space within the geometric shape of the rotary games 12, which is implemented by the game server 52. 게임 서버(52)는 하나 이상의 게임 징표(27, 28, 29)를 하나 이상의 선택 공간에 배치하고, 각 게임 징표는 포인트 값을 가지며, 게임 서버(52)는 추가로, 선택된 선택 공간 내의 게임 징표와 연계된 총 포인트 수에 기초하여 플레이어에게 포상을 시상한다. Game server 52 is one or more game tokens (27, 28, 29) for placement on one or more selection spaces, each gaming token has a point value, the game server 52 is added to, game tokens in the selected selection spaces the basis of the total number of points associated with the awards and the award to the player. 게임 단말(54)은 추가로, 인쇄된 선택 공간의 매트릭스상의 하나 이상의 선택 공간을 플레이어가 선택하도록 베트 슬립(10) 같은 인쇄된 선택 공간이 매트릭스를 갖는 티켓을 플레이어에게 제공한다. Game terminal 54, there is provided a ticket having a further, the one or more selection spaces on the printed matrix of selection spaces, such as bet slip printing the player 10 so as to select selection space matrix to the player. 또한, 게임 단말은 추가로, 게임 징표가 배치된 선택 공간을 나타내는 티켓(20)을 인쇄할 수도 있다. In addition, the game terminal may also print a ticket 20 showing the selection of an additional, game tokens are arranged space. 게임 서버(52)는 티켓(20)의 발행과 함께 하나 이상의 게임 징표를 하나 이상의 선택 공간에 배치하거나, 사전결정된 시간에 열리는 추첨 또는 기타 랜덤 추출의 결과로서 하나 이상의 게임 징표를 하나 이상의 선택 공간에 배치할 수 있다. The game server 52 to select spatial arrangement of one or more game tokens with the publication to one or more selected area or pre least one or more game token as a result of the open draw or other random extract a determined time a ticket 20 It can be placed. 또한, 게임 서버는 도 4 및 도 5에 도시된 바와 같이, 기하학적 도형을 사용하여 로터리 게임을 이행하기 위한 단계와 동시에 플레이되는 제2 로터리 게임을 이행할 수 있다. Further, the game server may implement the second rotary game is played simultaneously with the steps for implementing the rotary game using the geometry as shown in Figs. 선택된 선택 공간 내의 게임 징표와 연계된 지점의 총 수에 기초하여 포상을 시상하는 단계를 포함하는 로터리 게임 이행 방법. The method proceeds rotary game comprising awarding a prize based on the total number of points associated with the game token in the selected selection spaces. 제 1 항에 있어서, 인쇄된 선택된 공간의 매트릭스를 갖는 티켓을 플레이어에게 제공하는 단계를 추가로 포함하는 로터리 게임 이행 방법. The method of claim 1, wherein the rotary game implementation, including a ticket having a printed matrix of the selected area to add the step of providing to the player. 제 2 항에 있어서, 플레이어가 적어도 하나의 선택 공간을 선택할 수 있게 하는 단계는 인쇄된 선택 공간의 매트릭스상의 하나 이상의 선택 공간을 선택하는 플레이어를 통해 이루어지는 로터리 게임 이행 방법. The method of claim 2, wherein the step is formed of a rotary implementation of the game through selecting one or more selection spaces on the printed matrix of selection spaces that allows a player the player can select at least one selection space. 제 3 항에 있어서, 게임 징표가 배치된 선택 공간을 보여주는 티켓을 인쇄하는 단계를 추가로 포함하는 로터리 게임 이행 방법. Method according claim 3, the rotary game proceeds further including the step of printing a ticket showing the selection spaces disposed in the game token. 제 4 항에 있어서, 하나 이상의 게임 징표를 하나 이상의 선택 영역에 배치하는 단계는 티켓의 발행과 함께 이루어지는 로터리 게임 이행 방법. The method of claim 4, wherein the step is formed of the rotary game proceeds with issuing the ticket to place one or more game tokens in one or more selected areas. 제 1 항에 있어서, 하나 이상의 게임 징표를 선택 공간 중 하나 이상에 배치하는 단계는 사전결정된 시간 동안 유지되는 추첨의 결과로서 이루어지는 로터리 게임 이행 방법. The method of claim 1, further comprising: placing one or more game tokens in one or more of the selected area is made of how the rotary game proceeds as a result of the lottery is held for a predetermined time. 제 1 항에 있어서, 기하학적 형상을 사용하여 로터리 게임을 이행하기 위한 단계와 동시에 플레이되는 제2 로터리 게임을 추가로 포함하는 로터리 게임 이행 방법. The method of claim 1, wherein the rotary game proceeds, which further comprises a second rotary game being played and the step to implement the rotary game using a geometric shape at the same time. 게임 서버는 선택 공간 중 하나 이상에 하나 이상의 게임 징표를 배치하고, 각 게임 징표는 포인트 값을 가지며, 게임 서버는 추가로 선택된 선택 공간 내의 게임 징표와 연계된 총 포인트 수에 기초하여 플레이어에게 포상을 시상하는 로터리 게임 이행 시스템. Game servers are disposed for one or more game tokens in one or more of the selected area, and each gaming token has a point value, the game server is an award to the player in addition based on the total number of points associated with the game token in the selected selection spaces with Prizes rotary transition game system. 제 8 항에 있어서, 게임 단말은 추가로, 인쇄된 선택 공간의 매트릭스를 갖는 티켓을 플레이어에게 제공하는 로터리 게임 이행 시스템. The method of claim 8, wherein the game terminal is rotary game implementation system that additionally, providing a ticket having a printed matrix of selection spaces on the player. 제 9 항에 있어서, 게임 단말은 플레이어가 인쇄된 선택 공간의 매트릭스상의 하나 이상의 선택 공간을 선택할 수 있게 하는 로터리 게임 이행 시스템. The method of claim 9, wherein the game terminal is rotary game implementation system that allows the player to select one or more selection spaces on the printed matrix of selection spaces. 제 10 항에 있어서, 게임 단말은 추가로, 게임 징표가 배치된 선택 공간을 나타내는 티켓을 인쇄하는 로터리 게임 이행 시스템. The method of claim 10, wherein the game terminal is rotary game implementation system for printing a ticket indicating a further selection of game tokens are arranged space. 제 8 항에 있어서, 게임 서버는 티켓의 발행과 함께 하나 이상의 게임 징표를 선택 공간 중 하나 이상에 배치하는 로터리 게임 이행 시스템. The method of claim 8, wherein the game server, the game proceeds rotary system disposed in one or more of selecting one or more game tokens with the issuance of the ticket space. 제 8 항에 있어서, 게임 서버는 사전결정된 시간에 열리는 추첨 결과로서의 하나 이상의 게임 징표를 선택된 공간 중 하나 이상에 배치하는 로터리 게임 이행 시스템. The method of claim 8, wherein the game server, the game proceeds rotary system disposed in at least one of the one or more games of the selected tokens as a lottery result space open to the predetermined time. 제 8 항에 있어서, 게임 서버는 추가로, 기하학적 도형을 사용하여 로터리 게임을 이행하는 것과 동시에 플레이되는 제2 로터리 게임을 이행하는 로터리 게임 이행 시스템. The method of claim 8, wherein the game server is added to the rotary system, the game proceeds to implement the second rotary game is played using the geometry as to implement the rotary game at the same time. 기하학적 도형 내의 적어도 하나의 선택 공간을 플레이어가 선택할 수 있게 하고, 선택된 공간에 하나 이상의 게임 징표가 배치될 수 있게 하며, 각 게임 징표는 포인트 값을 갖고, 포상의 결정은 선택된 선택 공간 내의 게임 징표와 연계된 총 포인트 수에 기초하는 복수의 선택 공간을 갖는 기하학적 도형을 포함하는 로터리 게임 티켓. Allowing the at least one selection space within the geometric shapes player can select, and which ensures that the one or more game token on the selected area can be arranged, each gaming token has a point value, the determination of the award and game tokens in the selected selection spaces rotary game ticket including a geometric figure having a plurality of selection spaces on the basis of the total number of connection points. 제 15 항에 있어서, 하나 이상의 선택 공간의 하나 이상의 게임 징표의 배치가 티켓상에 나타나는 로터리 게임 티켓. The method of claim 15, wherein the rotary game tickets are placed one or more games of a sign of at least one selected area appear on the ticket. 제 15 항에 있어서, 로터리 티켓에는 플레이어에 의해 선택된 하나 이상의 선택 공간이 인쇄되고, 하나 이상의 선택 공간의 하나 이상의 게임 징표의 배치는 사전결정된 시간에 열리는 추첨의 결과로서 발생하는 로터리 게임 티켓. The method of claim 15, wherein the ticket has a rotary arrangement of the game token is at least one selected area being printed is selected, one or more of the at least one selection space by a player, the rotary game tickets generated as a result of the drawing opens at a predetermined time. 제 15 항에 있어서, 로터리 티켓은 기하학적 도형을 사용하는 로터리 게임과 동시에 플레이되는 제2 로터리 게임을 추가로 포함하는 로터리 게임 티켓. The method of claim 15, wherein the rotary is a rotary ticket game ticket further comprising a second rotary game being played at the same time as the rotary game using the geometry. FI74136B (en) 1983-04-19 1987-08-31 Tekma Oy Genomkoerbar kammartork Foer sentence. FI78348C (en) 1983-11-15 1989-07-10 Tekma Oy Foerfarande Foer regulating the Funktionen of genomkoerbar kammartork Foer traevirke. CH669275A5 (en) 1985-08-21 1989-02-28 Landis & Gyr Ag Method and means for evaluating and deleting value markings on security documents. DE3878681D1 (en) 1988-03-25 1993-04-01 Maeda Kiko Co Ltd Method and apparatus for treating a surface. ES2006400A6 (en) 1988-04-05 1989-04-16 Cirsa Comp Inversiones Sa Improvements in gaming machines. ES2006401A6 (en) 1988-04-05 1989-04-16 Cirsa Comp Inversiones Sa Improvements in recreational machines. FR2715576B1 (en) 1994-01-28 1996-03-29 Jeux Franc System game.